The MIDF series of Mag Flow Meters from Badger Meter is designed for use in food and hygienic applications across many industries. 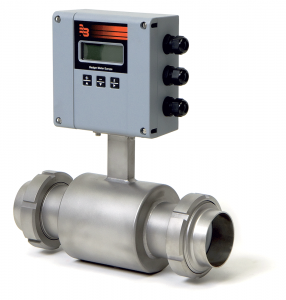 Constructed in 306 stainless steel with PTFE liner and Hastelloy C measuring & empty pipe electrodes as standard plus a choice of wafer, TriClamp, DIN 11851 or ISO 2852 connections and LCD amplifier, output and communication options these meters perform under the most demanding conditions. Other connections including to customer specifications also available, call for quotation.